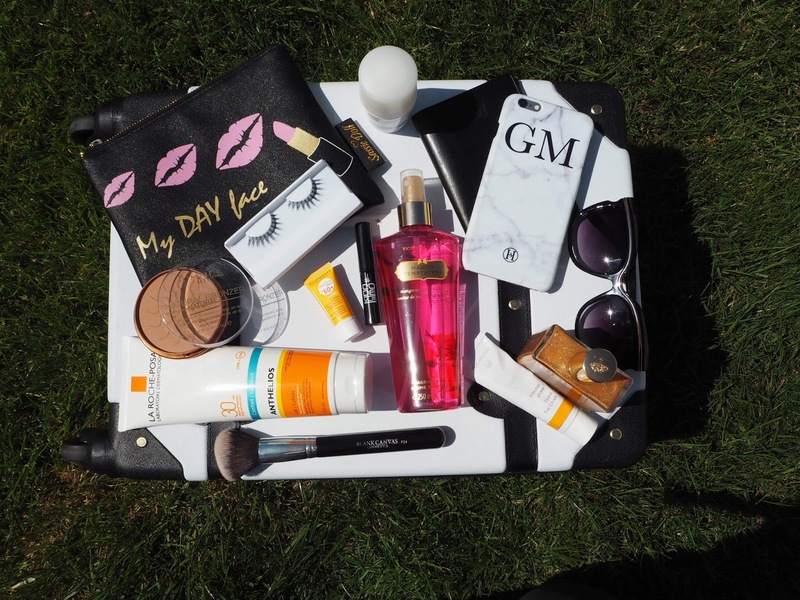 I'm sorry its taken me this long to share what makeup & beauty products I used while I was away in Spain last weekend. I feel like there aren't enough hours in the day recently. I had the most amazing four days away in Torremolinos with my best friends celebrating Gill's hen party. These products were the ones I used the most but I did pack a lot more. Maybe I'll film a Youtube video or a Facebook live before I head to Marbella and talk you through everything I'm bringing. Let me know in the comments if you would like to see one of those videos. As you all know I work very closely with Meagher's Pharmacy and have done for almost 2 years now, god where has the time gone. I love working with Meagher's because they stock so many of my hero products and brand I absolutely love. Their online store is huge and each time I visit it I find more and more products I love. These are the two SPF's I brought with me, I used the Bioderma Aquafluide 50 on my face and it was so lovely and such a light consistency, it really protected my face. 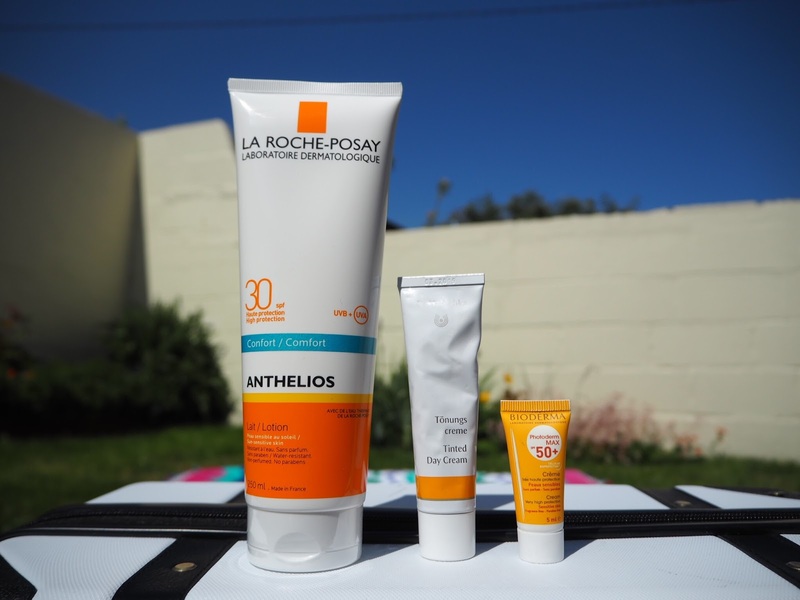 For body I used the La Roche Posay and it was amazing, it didn't leave a tacky sticky feeling on my skin. It was so lightweight. 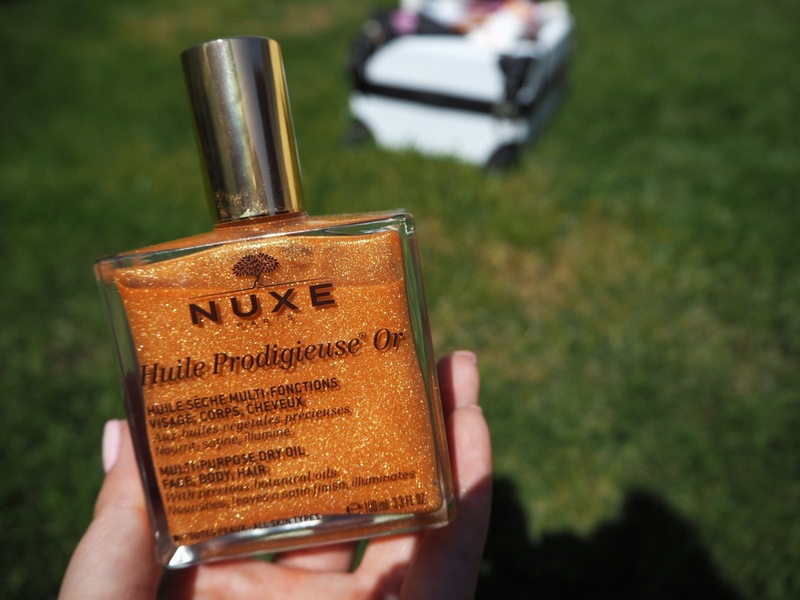 If you haven't tried a dry oil yet then the NUXE oil, It's so beautiful on the skin and smells amazing. It gives the most stunning glow. I love to spray it down the fronts of my legs and onto my chest. It's such a holiday staple. I am obsessed with this makeup bag and the design of it, It's so simple but effective and I don't know why a brand hasn't done it before. It is two makeup bags joined together, one for your day time makeup and one for your night time makeup. 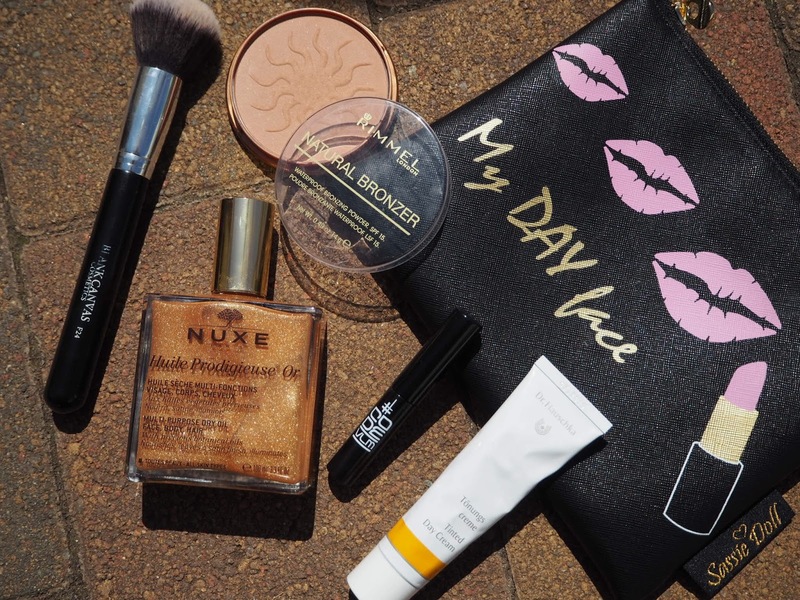 Super easy and convenient for travel or for someone who likes to top their makeup up on the go. I keep my makeup quiet light and natural because of the warm weather and I just prefer the "less is more" look lately. The Dr Hauschka tinted moisturiser won an Image award in this years and I've been dying to try it ever since. It didn't disappoint, it's super lightweight but gave me just the right amount of coverage I needed. It also left my skin feeling hydrated and very dewy however I needed to set it with a powder. I use the Blank Canvas Cosmetics F24 everyday for foundation, its amazing at giving a flawless finish but also buffing foundation in easily. I don't feel awake unless I have mascara on and this mini from Code Beautiful was the perfect product to throw in my bag and top up my lashes after hours in the sun. I wanted to keep my skin nice and sun kissed and the Rimmel Natural Bronzer is such a fab product. 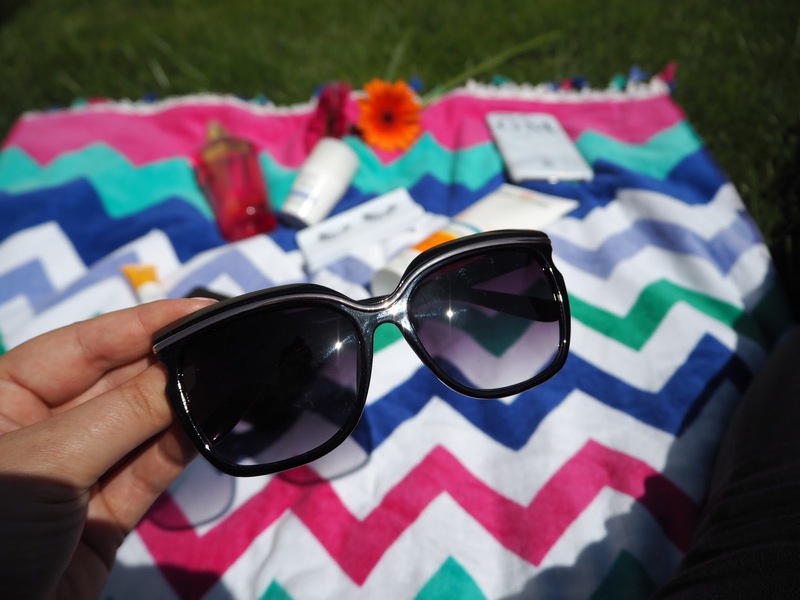 It's waterproof so great for holidays and also has an SPF 15. I love a body spray to freshen up by the pool and nothing comes close to the Victoria Secrets Body Spray they smell amazing. 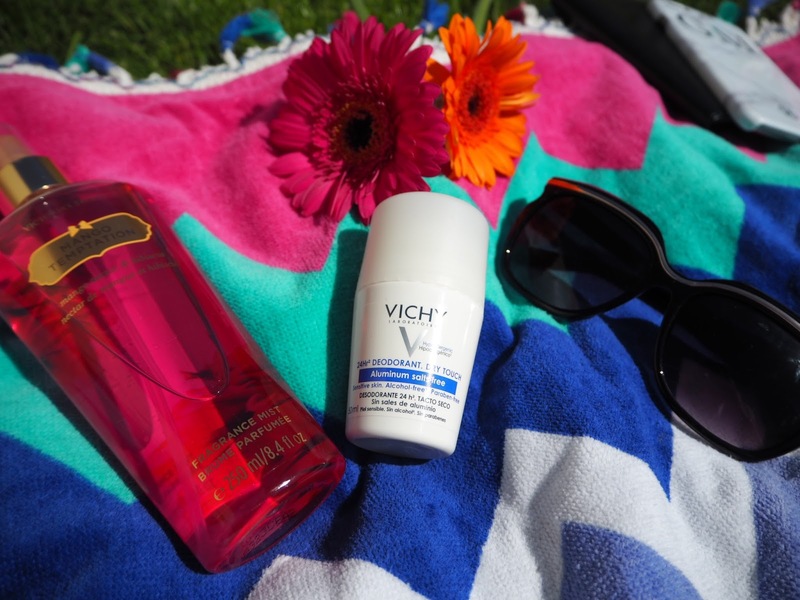 I'm a big fan of roll on deodorants and Oonagh the owner of Meaghers recommended this Vichy one when I was looking for a new one, it didn't leave any white marks or stained my clothes and it dries really quickly. I finally got myself a pair of Rosie's Aluxe sunnies in the style Barbados. They are just gorgeous and definitely my style of glasses. The bigger the better, especially after a night in the 24 hour square haha. I hope you found this post helpful, We are heading away as a family this summer so I think I will do a similar post about what to pack for a baby. Let me know if that is something you want to see. This blog post is in collaboration with Meagher's Pharmacy.